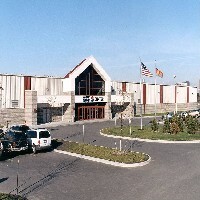 A unique municipal sports/recreational facility consisting of three NHL and one Olympic ice rinks, the Amherst Pepsi Center was the solution offered by The CRS Companies to the Town of Amherst to bring their outdated hockey and ice skating facilities into the 21st century without encumbering the town with years of debt and financial burden. After making a bid announcement for the design, construction and management of a new facility, the Town of Amherst received 7 proposals, most of which came from large, well-known developers. No general obligation bonds would be issued for this project. The town's total annual expense for facility management and operation could not exceed the town's current budget for two older rinks. The CRS Companies was selected as the developer of the Pepsi Center complex based on its development track record, the expertise of the sports facilities design team it assembled, and the revenue enhancement programs contained in its proposal to the Town of Amherst. The proposal submitted by The CRS Companies was based on seeking a construction bond through the Amherst Industrial Development Agency (IDA), something that none of the other proposers had done. The CRS Companies was viewed by Mr. Jeff Bloom, Amherst's then Recreation Director, as "very innovative about financing with industrial development funds. None of the others thought of doing that. It meant a lot. It meant we didn't have to go for a referendum." 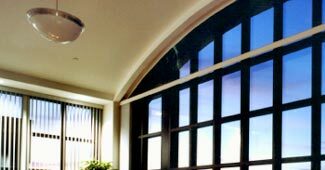 Further, Mr. Bloom stated that, "…Cerio [President of The CRS Companies] had a management team and a complete business plan. None of the others came close." The CRS Companies arranged the revenue-based, tax-exempt bond financing for the town, allowing the project to proceed with no out-of-pocket expenditures from the town and no tax increase for the town residents. 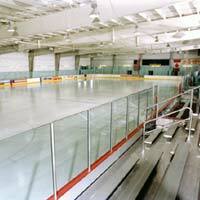 Complete financing, design and construction of the facility took only 11 months (October 1, 1997 – September 1, 1998). Now, the Amherst Pepsi Center is being touted as a successful model of public-private cooperation nationwide, as revenues from the Center climb and costs to the town look to be even less than expected. The facility – considered to be so much more than four sheets of ice that the word "rink" isn't even in the name – could well end up being less of a tax burden than were the previous two older rinks. 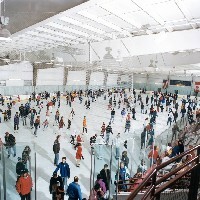 This project, valued at $18.3 million, is a two-story, multi-function sports facility centered around a four-rink ice skating/hockey complex. 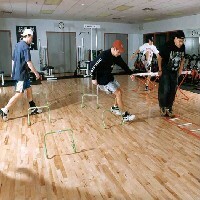 The center includes three NHL regulation rinks and an Olympic regulation rink for figure skating. There is spectator seating for 2,300 persons; an off-ice practice area; a second floor, 140-seat restaurant overlooking the rinks; a first floor food court; conditioning and aerobic rooms; concession and sports-related retail shops, and offices and conference rooms. The CRS Companies' solution to the town's recreation challenges was considered highly creative, showing insight and vision toward solving the town's immediate problems while providing for the town's future needs as well. A design-build lease of a 10,400 square foot plasma center / medical laboratory for a wholly-owned subsidiary of the pharmaceutical company, Johnson & Johnson.